Cutaneous vitamin D3 (VD3) is generated by UVB-induced photolysis of 7-dehydrocholesterol (7-DHC). VD3 then undergoes sequential hydroxylation to calcidiol (25-OHD3) in the liver and to hormonally active calcitriol (1α,25-(OH)2D3) in the kidney. Recently, we have described the epidermal VD3 metabolic pathway by demonstrating the autochthonous formation of calcitriol in cultured keratinocytes. In this study we sought to determine whether photolysis of 7-DHC induced by irradiation of human skin with monochromatic UVB at 300 nm results in epidermal synthesis of calcitriol in vivo. Using a microdialysis technique we demonstrated that UVB irradiation results in a dose- and time-dependent increase in the calcitriol concentration in the extracellular fluid of UVB-irradiated skin. 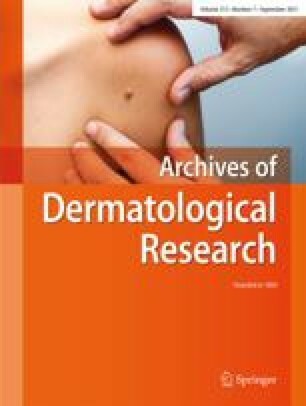 Topical treatment of skin with an ointment containing 2% ketoconazole immediately after irradiation suppressed UVB-induced intraepidermal calcitriol synthesis. This study demonstrates for the first time UVB-triggered synthesis of calcitriol in human skin in vivo. The link between UVB irradiation and synthesis of calcitriol in the skin may be of great importance for regulation of biological processes such as cell growth, differentiation, apoptosis and immunological reactions.